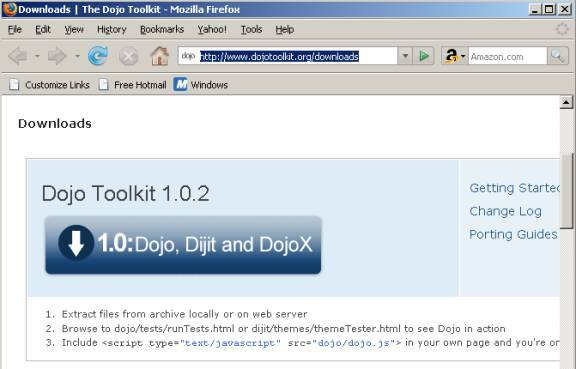 Dojo Installation: A quick guide to install Dojo 1.0.2 in your web application. In this section I will show you how you can download and add Dojo capability in your web application. You can add Dojo capability to any of your web application. If you are developing web application using JSP or Servlet then adding Dojo to your application is very easy task. 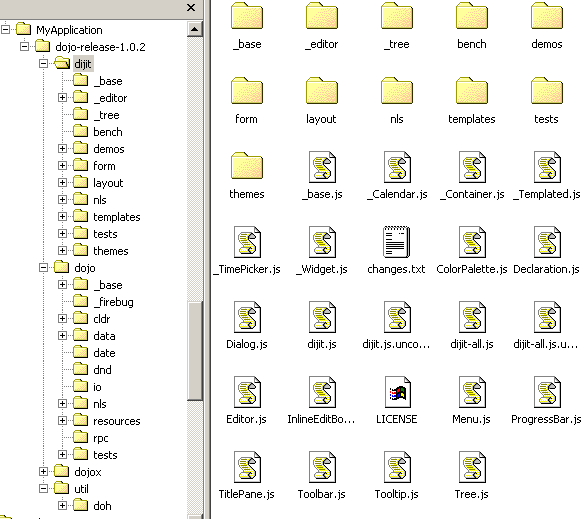 You have to download the Dojo zip file and unzip it into your web application. In the following section I will show you this in easy steps. Click on the download link and save the file (dojo-release-1.0.2.tar.gz) on your system. In the next section I will start developing examples using Dojo toolkit.